Spacious and Charming Sunset Ridge Villa with Free Wi-Fi, Cable TV and Lovely Private Pool! This cozy and comfortably furnished villa is perfect for bigger groups. Lovely family room, spacious living room and dining area creates a lot of space to hang out and spend quality time with your family and friends. House features huge swimming pool and outdoor furniture for relaxation under the warm Floridian sun. 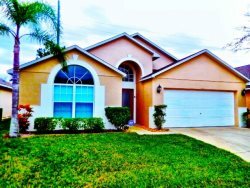 Located in the gated community of Sunset Ridge, just across to the entrance to I-4, which allow guests easy access to the best of what Orlando can offer! Only minutes away from grocery shopping and restaurants.